I, happily, admit that I am a shopaholic. I am addicted to buy traditional artifacts and handicrafts. I do not have a tendency to stop shopping when the baskets became too full or too heavy. I consider shopping as a great investment. 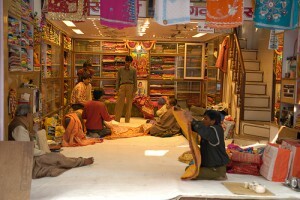 And luckily, on my tour to Agra, I was caught with shopping fever. After visiting the wonder monument Taj Mahal, I decided to flock the colourful market streets to carry something home. I started my exploration with the Oswal Emporium. 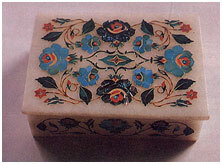 Since its inception in 1972, the emporium is known for the best of intricate inlay work on marble. The guard there told me that it is the largest of its kind in Asia. As I entered the gallery, I was amazed to see the world’s finest handcrafted marble products. My next destinations were the famous Kinaari Bazaar and Munroe Road. There I found some of the most amazing leather products. 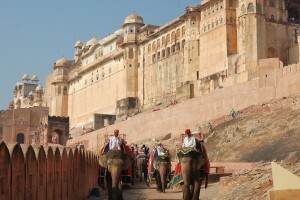 If anyone wants to replenish his/her leather wardrobe, there is no better place than Agra. I hired a rickshaw and also paid short visits to the Loha Mandi, Civil Line, Tajganj, Dayal Bagh, Taj Mahal Complex and the Rakab Ganj area. These places are superb to buy some authentic souvenirs and zari embroidery work at reasonable prices. Streets were loaded with awesome sweet delicacies like ‘petha’ and ‘gazak’. The rickshaw-wala also insisted me to visit U. P. State Emporium, but I asked him to take me back to the hotel as I was running short of time. On my way to the hotel, the rickshaw-wala told me that the markets in Agra were frequented by the skilled craftsmen even during the Mughal rule. They used to bring with them their best wares in the hope to get the patronage of the Emperor. People believe that Empress Noor Jahan took a keen interest in opulent and exquisite embroidery and textiles. Therefore she employed a number of female dress makers to stitch impressive and grand robes for all the courtiers. 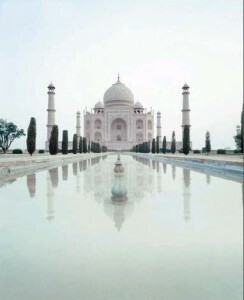 One item that was common in almost all the shops in Agra was the marble replica of the Taj Mahal. It serves as the pride of every shop there.